Words like ‘blat’ and ‘sput’ are great to check a child is truly decoding. Because these words are pseudo or nonsense words, there is only one strategy a child can use to read them – decoding! 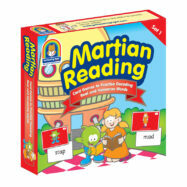 Martian Reading gives you over 10 card games to play which use nonsense words or pseudo words. 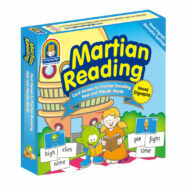 Introduce the concept of pseudo or nonsense words using the Martian Lands free e-book. Then, have children play a variety of games and activities designed to practice decoding during phonics rotations. A little muddled as to why we use nonsense to check phonics skills? Let us explain further.